For those who are totally turkey-, cranberry sauce-, and stuffing‘ed out, meet Adana, a J-Gold recommended spot in an unlikely corner of Glendale. Sarah and I stopped in for lunch a few weeks back and ate our weight in superb Middle Eastern cooking. 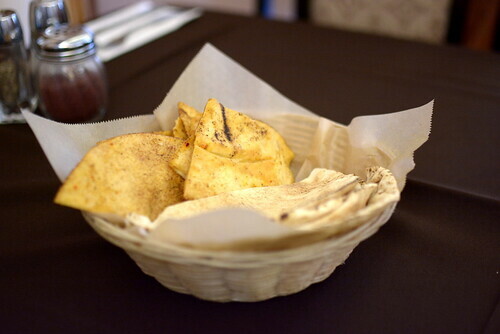 Every meal at Adana begins with a basket of pita bread and pita chips. Both are addictive, especially when the hummus hits the table. 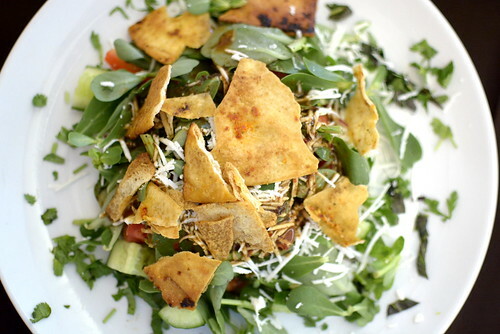 Lunch started with a fattoush salad ($9.99), a bed of verdolagas (also known as purslane) adorned with tomatoes, cucumbers, radishes, herbs, feta cheese, and pita chips dressed with lemon and oil. Sarah liked this plate o’ greens very much. 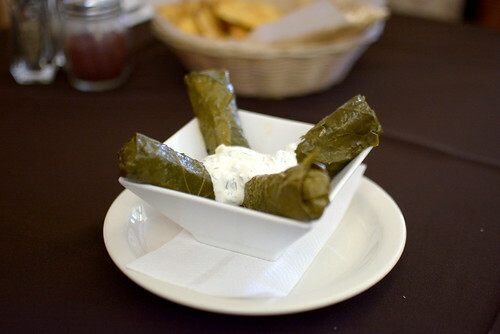 Next on deck were the dolmeh ($5.99), grape leaves filled with rice, herbs, and spices, “slightly soured with green grape juice instead of vinegar,” according to Mr. Gold. 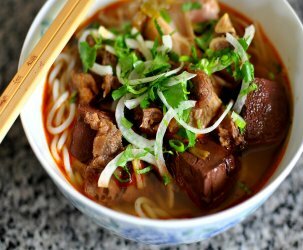 Our only complaint was the portion size—two dolmehs per person is never enough. 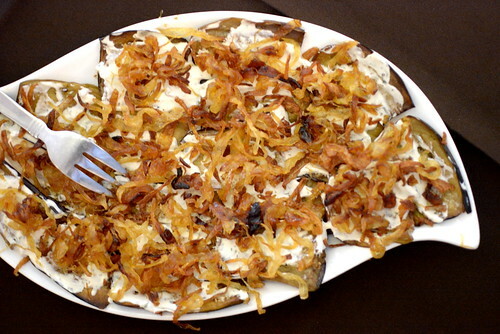 The dish that really delivered was the kashk e bademjan ($7.99), an Iranian appetizer composed of thinly sliced eggplant topped with condensed yogurt, caramelized onions, and mint. While the onions were slightly too assertive for Sarah, I found them awesomely punchy. 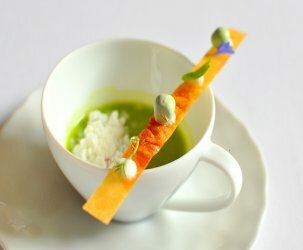 I loved this dish a lot. 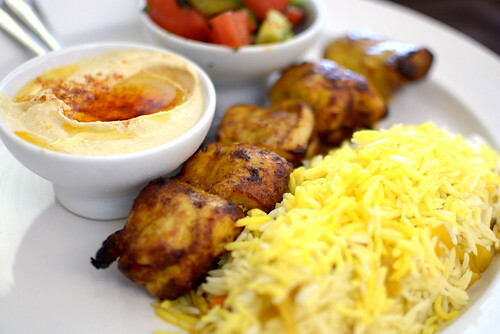 Our final dish was the dark meat chicken kebab ($12.99) served with hummus, a Persian salad, and shirin polo. 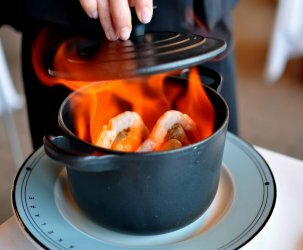 Even though the chicken was as smoky and moist as promised, I regretted not ordering my favorite grilled meat logs: the koobideh. Next time! The shirin polo, fluffy orange-peel-studded basmati rice, was a fine accompaniment. 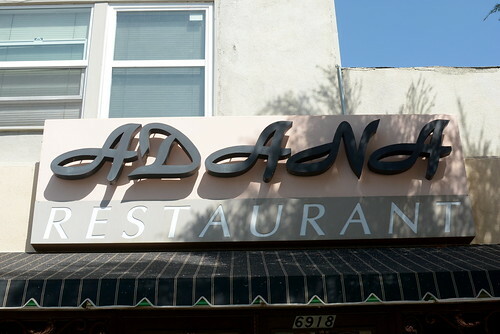 Adana is a really lovely place for a leisurely lunch in an unlikely corner of Glendale.